Trust the Gravina’s name for your bow windows! 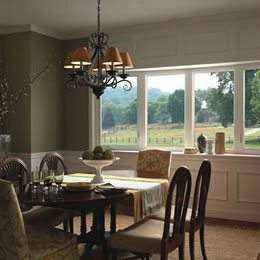 Similar to bay windows, bow windows offer a more rounded aesthetic appeal because they mull 4, 5, or 6 panels together with the seat and head board. Our certified consultants will show you different designs from many different manufacturers so that you can choose the best windows for the price that fits your budget.